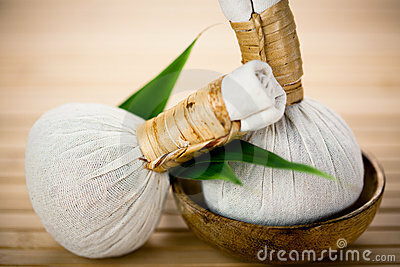 This Spring I’m pleased to add another modality into my bodywork practice; Thai Herbal Compresses. I’ve so enjoyed the affects of these medicinal herbal balls, and am excited to share them with you. Book soon to experience this relaxing, and energizing, herbal therapy. Thai Herbal Compress technique offers several potential health benefits: It induces deep relaxation, relieves stress and fatigue, boosts both emotional and physical well-being, assists alignment and postural integrity of the body, improves circulation of blood and lymph and stimulates the internal organs. The hot compresses are ideal for alleviating pain, stiff, sore or pulled muscles and ligaments, chronic back aches, arthritis, even skin conditions, migraines and chronic stress or anxiety. The blend of traditional Thai herbs, which smell so good, used in these compresses has a relaxing and invigorating effect on the body and mind, soothing sore and overworked muscles while giving the body’s energy reserves a huge boost.